The advent of refrigerated ships meant that Canterbury lamb could be sent to markets on the other side of the world, and boosted sheep farming. 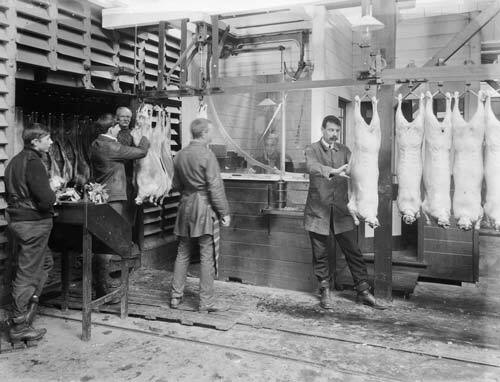 Firms such as the Christchurch Meat Company processed sheep meat for the domestic and export markets. These lamb and sheep carcasses are being weighed at the company’s works.